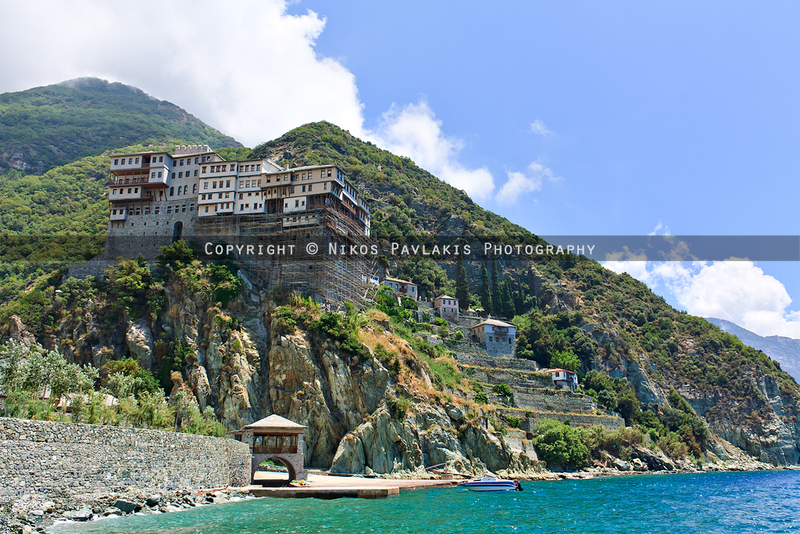 Mount Athos is a mountain and peninsula in Macedonia, Greece. 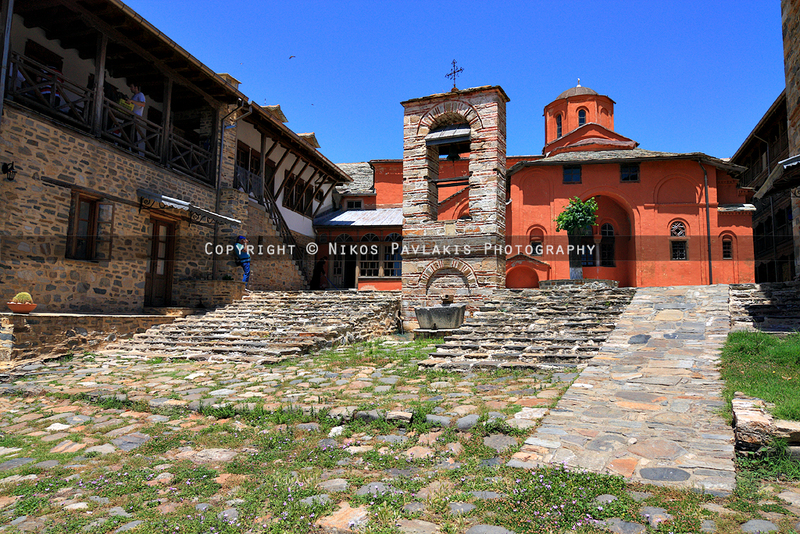 A World Heritage Site and self-governed state in the Hellenic Republic, Athos is home to 20 stavropegial Eastern Orthodox monasteries under the direct jurisdiction of the patriarch of Constantinople. 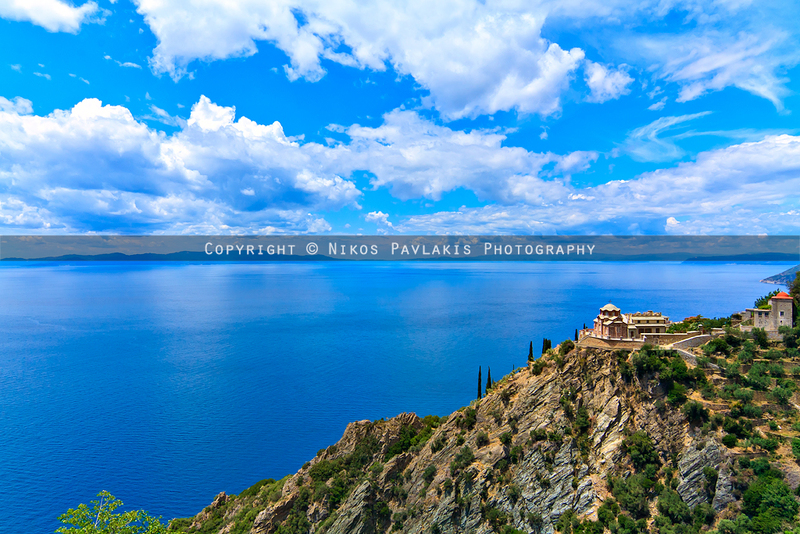 Today Greeks commonly refer to Mount Athos as the Holy Mountain (Agion Oros). In Classical times, while the mountain was called Athos, the peninsula was called Akti. 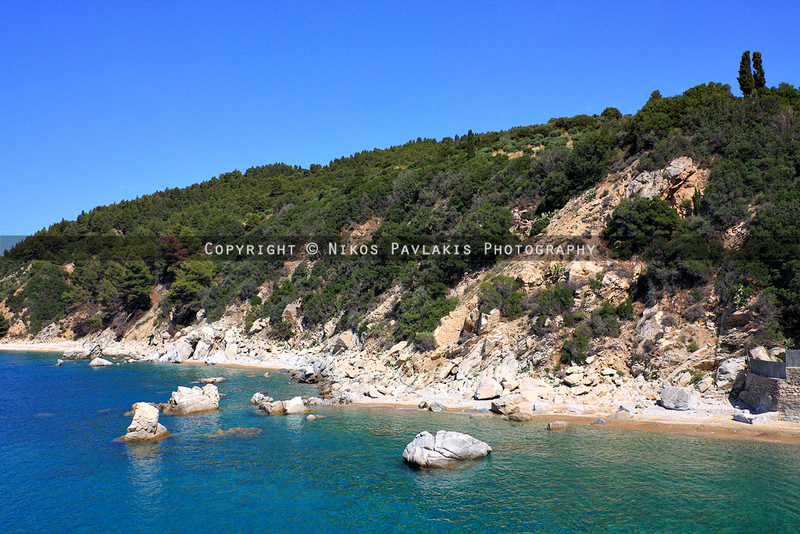 The peninsula, the easternmost "leg" of the larger Halkidiki peninsula, protrudes 50 kilometres into the Aegean Sea at a width of between 7 and 12 kilometres and covers an area of 3,356 square kilometres. The actual Mount Athos has steep, densely forested slopes reaching up to 2,033 metres. The surrounding seas, especially at the end of the peninsula, can be dangerous. In ancient Greek history two fleet disasters in the area are recorded: In 492 BC Darius, the king of Persia, lost 300 ships under general Mardonius. In 411 BC the Spartans lost a fleet of 50 ships under admiral Epicleas. The surrounding sea can be very dangerous. 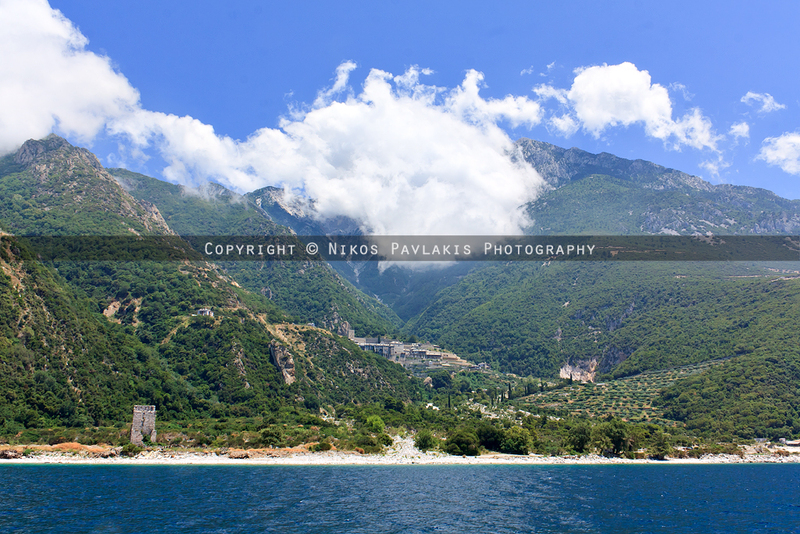 Though land-linked, Mount Athos is practically accessible only by boat. There are two large ferries, Agios Panteleimon and Axion Estin, that travel daily (weather permitting) between Ouranoupolis and Dafni, with stops at some monasteries on the western coast along the way. There is also a smaller speed boat, Agia Anna, which travels the same route, but with no intermediate stops. 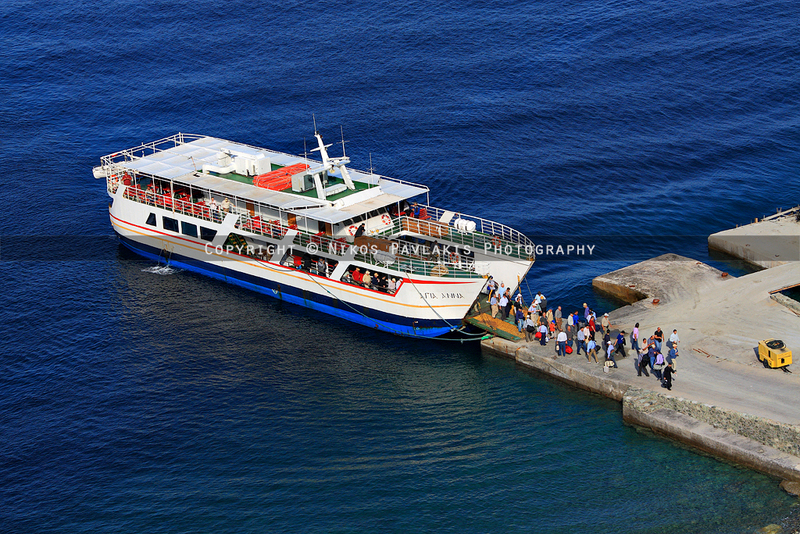 It is possible to travel by ferry to and from Ierissos for direct access to monasteries along the eastern coast. The daily number of visitors entering Mount Athos is restricted and all are required to obtain a special entrance permit valid for a limited period. Only males are allowed entrance into Mount Athos, which is called "Garden of the Virgin" by monks, and Orthodox Christians take precedence in the permit issuance procedure. Only males over the age of 18 who are members of the Eastern Orthodox Church are allowed to live on Athos, either as monks or as workers. 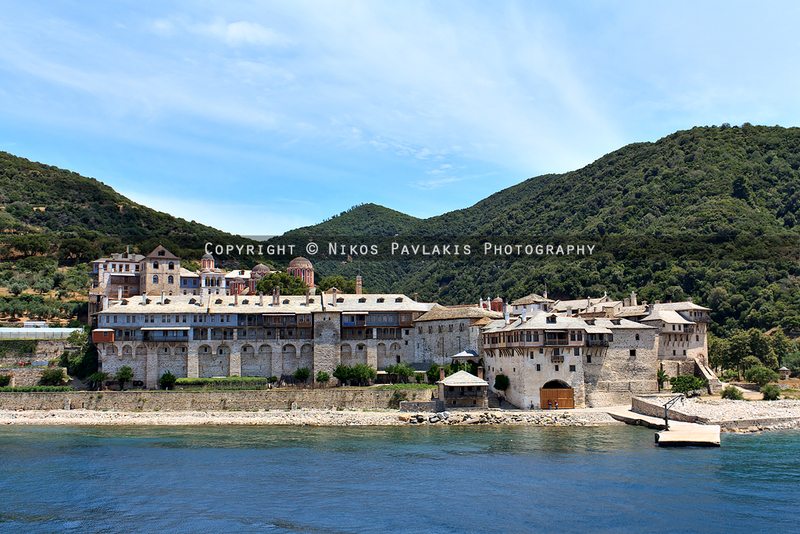 Mount Athos is practically accessible only by boat. Athos in Greek mythology is the name of one of the Gigantes that challenged the Greek gods during the Gigantomachia. Athos threw a massive rock against Poseidon which fell in the Aegean sea and became the Mount Athos. According to another version of the story, Poseidon used the mountain to bury the defeated giant. 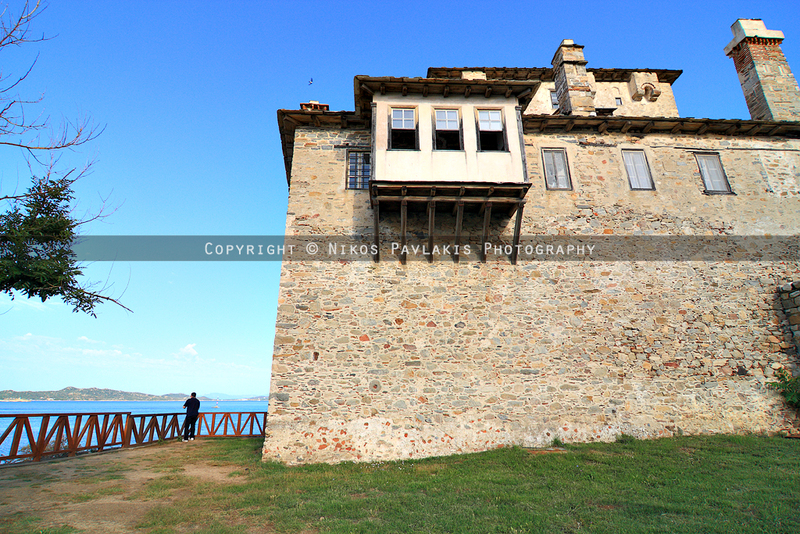 My visit to Holy Mount Athos was by invitation of a friend of mine living in Thessaloniki. I had great curiosity to see those medieval buildings and see the “old ways”, but nothing had prepared me of what I would see or experience. My first thought as we started our journey to Ouranoupolis was “There is so much green here, and what a sky full of puffy clouds this is!”, “It’s Vardaris (northwestern wind of Axios Valley)”, my friend replied. “It takes everything away clearing the sky.” I saw so many themes ready to be shot and I urged my friend to stop, but he promised a quick stop on our way back to Thessaloniki as we had a ferry to catch. We arrived at Ouranoupolis very early in the morning and had a coffee waiting for the ferry. There was a tower very near (later I learned that this was the Prosforio Tower), so I went for a few shots around the area. When the ship arrived and we embarked we climbed up the last deck and watched the medieval buildings appear one after the other. 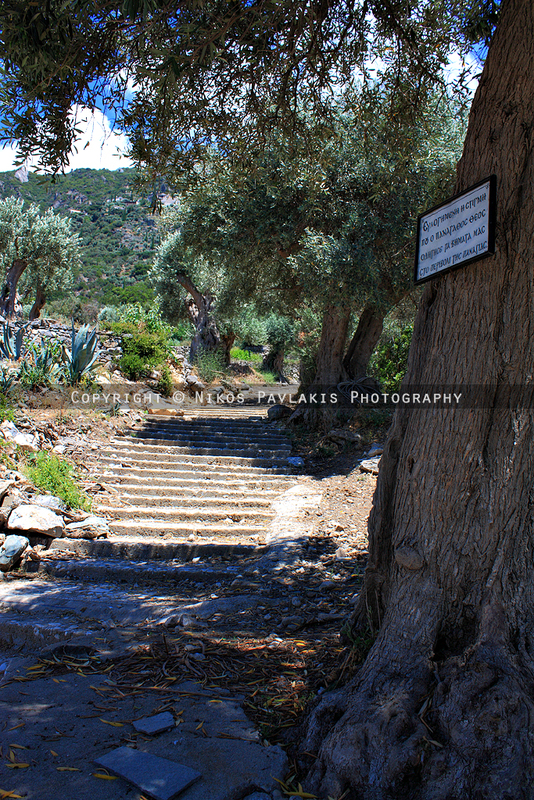 I was amazed by the architecture, but when we reached our first destination, Xenofontos Monastery I was truly amazed! The monastery was built next to the sea and had medieval style towers and buildings, some churches and almost everything was built with stones. 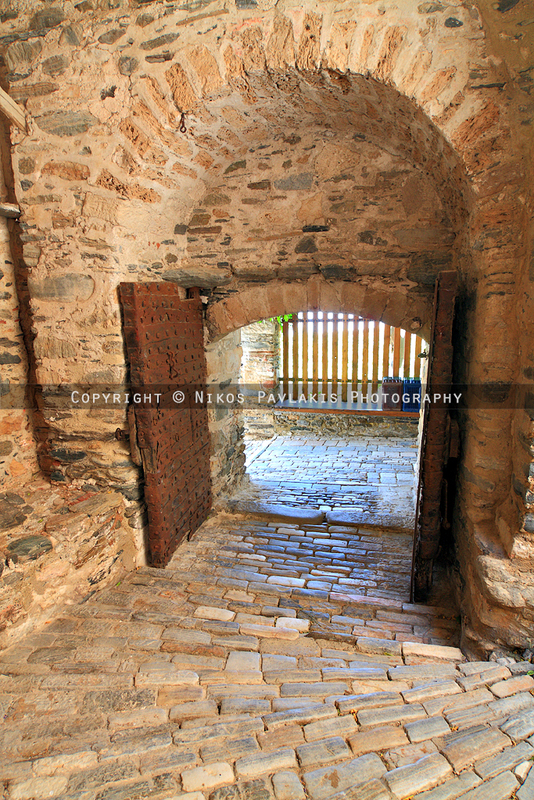 As with all monasteries in Mount Athos, the doors of the monastery close and are locked after the sun sets. Our room was next to the sea and the evening breeze together with the sound of the waves created a beautiful feeling of calmness. Of course after a little while we rushed with our cameras exploring the surroundings until the evening came. There was a storm across the sea. It was so breathtaking that we starred for a couple of hours and I rushed to bring my camera and tripod to take some shots. 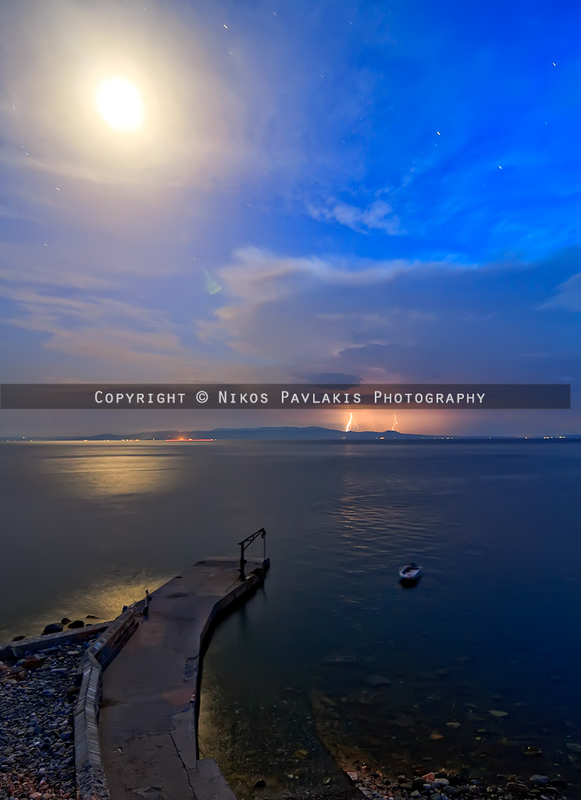 The storm across the sea was something amazing that night. Next day we took the ship to Dionisiou Monastery, which was a couple of hours away by ship. That monastery was standing tall next to the sea and we had to climb a long stone paveway to the entrance. That too had the typical medieval style of the monasteries, but it was very tall and looked almost like a castle from a certain perspective. We also stayed there for a day and then we took the ship to Aghia Anna’s Skiti. When we arrived at the little port, we loaded our baggage to the mules that had been sent for us and we started climbing the long stone steps to the monastery. I was told there were 1500 steps until the place we would stay for the night and another 1500 to the Skiti of Aghia Anna. It was a little weird that I don’t remember myself tired and after settling our things in our room, we climbed the next 1500 steps to the Skiti of Aghia Anna. When we reached our destination we were welcomed by the beautiful view and we rested under a shade. We then wandered around and even visited a small incense factory nearby where we bought some incense packs for our families. 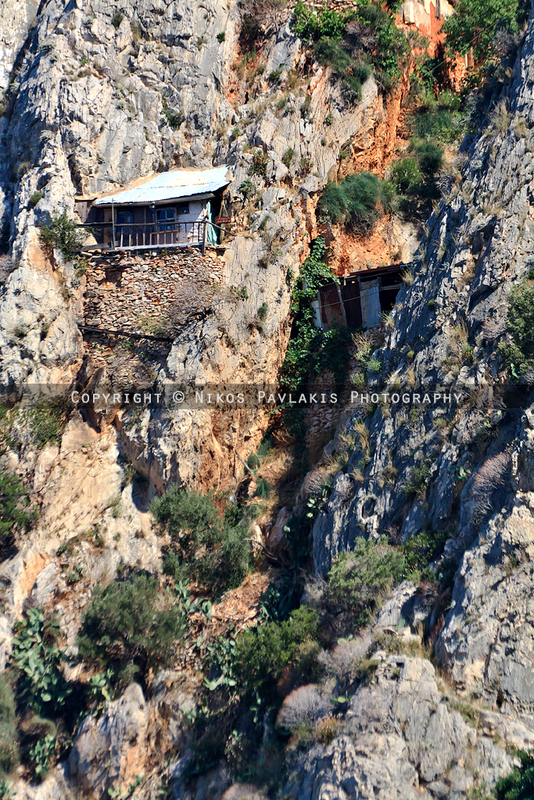 But the real highlights were the huts at Karoulia. It made you wonder how on earth they were built as they were standing at the edge of cliffs with little support and no visible access by sea or any path. I was told that these monks were living a very strict way of life and most of them lived in those huts for the most part of their lives. I really had to stress my 300mm lens to capture this amazing scene. It seems there's no access point to this hut!! When we returned I remember that there was no pain from the long walks I took and the steps I climbed. This journey was unique in every aspect and I intend to return to visit some other of the many monasteries there. There are so many things to see and photograph there! The rest of the photos from Holy Mount Athos are here (124 Photos).